Each peg letter board panel measures 150mm x 150mm x 12mm. 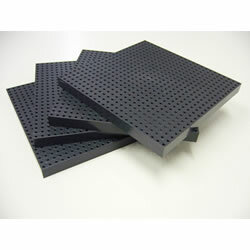 Click here for Complete Pegboard (Unframed) Packs including Clips and Panels. Click here for Individual Pegboard Clips. Click here for Pegboard Letters. Click here for Pegboard Numbers. Letter board clips for peg letter board panels. These peg letter board letters are available in a range of sizes (13mm, 19mm, 32mm and 51mm). Here is a list of the quantities of each item that you receive when buying a pack (sprue) of the various sized letters. We hope this helps you work out how many packs you may need. If you have any questions or would like to discuss please call us on (08) 8397 2500. These peg letter board numbers are available in a range of sizes (13mm, 19mm and 32mm). Here is a list of the quantities of each item that you receive when buying a pack (sprue) of the various sized numbers. We hope this helps you work out how many packs you may need. If you have any questions or would like to discuss please contact us either by email (sales@adapta.com.au) or phone (08) 8397 2500.